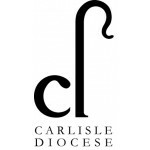 Within the beautiful county of Cumbria and the historic City of Carlisle, the mixed urban parishes of St Elisabeth, Harraby and St John the Baptist, Upperby are seeking a Priest in Charge and Priest in Charge-designate to provide for the two churches. Located close to the area of the Lakeland Fells and the Scottish Borders, this is a great opportunity for someone who feels called to live and work in a mixed urban setting with a heart for mission. Please contact The Venerable Lee Townend, Archdeacon of Carlisle for more information or an informal discussion. Full details are available on the Diocesan website, including parish profiles and the required Diocesan Application Forms. Until the autumn of 2019 the successful appointee will be the Priest in Charge of St Elisabeth and Priest in Charge designate of St John the Baptist until the retirement of the current incumbent in the autumn of 2019. In a city located in an area of natural scenic landscapes, this is a great opportunity for someone who feels called to live and work in a mixed urban setting with a heart for mission. The new Priest in Charge will help to shape how the two churches will work best; both these two churches are very open to new possibilities. Willing to work collaboratively with clergy and lay colleagues. Discerning of vocations and skills. Comfortable with Eucharistic and contemporary styles of worship. A good communicator, efficient administrator and be willing to delegate work with others appropriately. The Parishes of St Elisabeth, Harraby and St John the Baptist, Upperby are very well supported by lay people and licensed ministers. This will be the first time that the two churches have formally worked under one incumbent. Our PCCs and Standing Committees meet regularly together to work out how shared ministry will work with an enormous amount of unanimity. Carlisle is an historic border city which is a centre of communication within Cumbria and the border area. St Elisabeth’s Parish with a population of around 10,000 (and growing) is an urban area to the south of the city. In addition to the extensive urban areas comprising the residential estates of Petteril Bank and Upperby, the parish of St John includes also has quite a large rural area extending further south of the City into Carleton, Brisco, Blackwell and Durdar.